The article actually contains a series of maps, one showing the country as a whole, a number of maps covering the major cities and another map of the whole country which excludes immigrants from England and New Zealand. In order to get the Irish population you need to use the second map. Bondi Junction’s population is 3.9 per cent Irish – making up 338, or one in every 25, of the suburb’s 8661 residents. 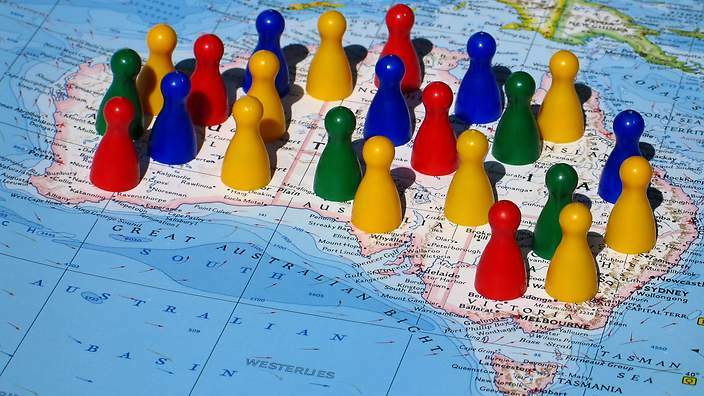 In Perth, Irish born people dominate in West Leederville (3.5 per cent), Perth city centre (3.4 per cent), Leederville (3.2 per cent), Meelon (3.1 per cent), Scarborough (2.1 per cent), Beldon (1.9 per cent) and Karrakup (1.6 per cent).